When asked how many years Malgosia has left to live, doctors lower their eyes. “A few years,” is the answer. 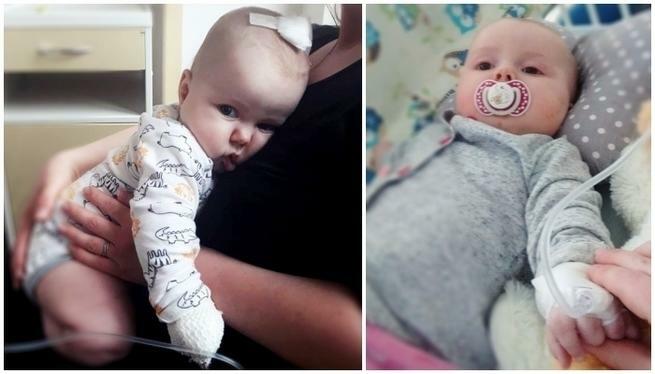 Without treatment, our daughter will die in torment. The disease will take her away little by little condemning her to more and more pain. Until the day when Małgosia simply will not wake up. "She will not live more than 10 years ..."
We remember that day, as if it were yesterday. Małgosia was only three months old. The results of genetic testing confirmed a very serious, incurable disease. The neurologist asked us to come into her office and to sit down. I asked the first question: "How long will Małgosia live?" "No more than ten years." My wife asked the second question, as if she did not believe what the doctor had said: "Does Małgosia have a chance for a special school?". "There will be no school ..." was the answer. 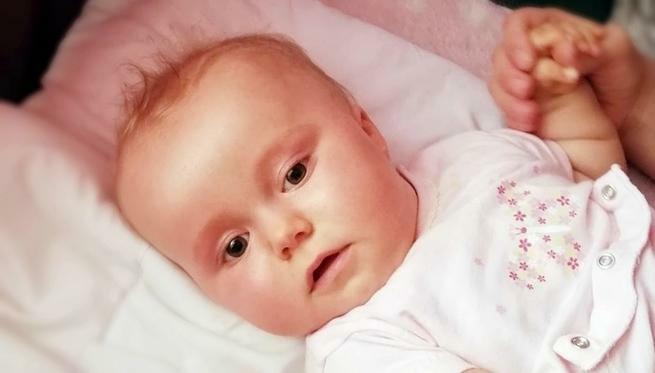 How could we let our child die in pain and just look on? How could we fall asleep every night knowing that one day Małgosia might not wake up? That day our hearts broke… but it is broken hearts that have the most strength to fight! 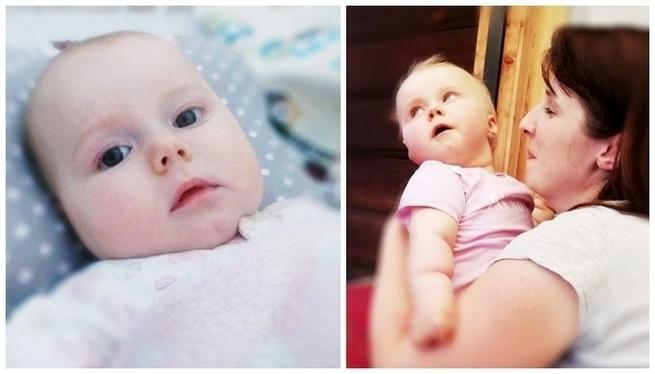 Each epilepsy attack is now like a hurricane that passes through our daughter's body. Her hands and feet move uncontrollably, and each time it happens we stand over her bed horrified! Małgosia’s eyes are the most terrifying. They become empty - as if they had flown away to another world. Gene mutation will make Malgosia's condition worse, her brain will start to die. The worst thing is that our daughter will be aware of everything. Physically Małgosia is regressing while mentally she is developing like a healthy child. The disease is so brutal that Małgosia will feel her body stop working. Pain will become an everyday reality. Everything that she has learned so far will be lost, and we will have to get used to seeing her suffer. We will watch Małgosia approach death, because if there is no treatment, one day her heart will just stop. On that day Małgosia will not open her eyes, she will leave us. How much is a child's life worth? In Poland, there are eight children like our daughter, but only two of them still have a chance. Małgosia is one of them. The other children are older, they are more than 3 years old. They have lost the chance of receiving treatment, because children over 3 years of age can no longer fight. The disease progresses causing irreversible changes! We know that there is little time left for Małgosia to be saved but we will not let go. It's her life! Doctors in Poland and in Europe are helpless. 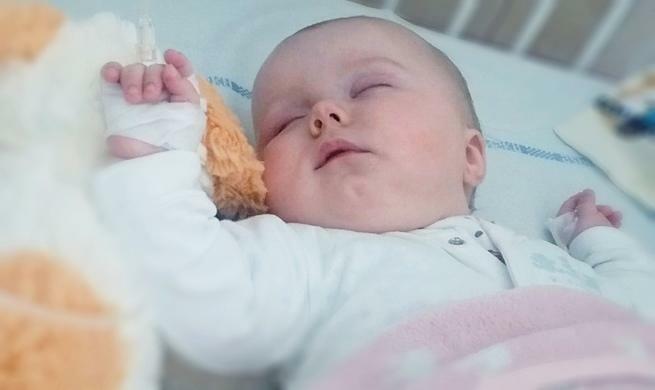 They can only lessen the suffering by giving the child very strong painkillers, but we do not want to stuff Małgosia with drugs while waiting helplessly for her death. The only rescue awaits us in the United States. American researchers are developing a gene therapy which involves the administration of the correct gene through appropriately prepared viruses. In this way, the disease can be completely eliminated. This is the only way to rescue Małgosia. But the rescue is worth a fortune, over one million dollars! Yet this treatment may turn out to be a revolution! If it works, it will give all the children with Canavan disease the possibility to overcome pain and to live. The children who have been suffering and dying so young! Małgosia is our only child and there is nothing more precious for us than her life. Time is running out, and the disease progresses, causing pain and doing more and more wrongs! In our situation, every parent would do the same – try to save his child, till is still hope. For us, Małgosia's life is invaluable. From the point of view of medicine, however, it has a price. Four million - an amount that we have never had and which we will never have.